My #socialcustcare predictions for 2017! It’s been a number of weeks since my last post and I keep meaning to write, but inevitably something else gets in the way. Poor excuse I know! This was going to be the year when I write more, well more often at any rate. And as January draws to a close I’ve still yet to write anything. But I’ve been reading. I’ve been reading countless predictions for 2016. I’ve been reading how contact centres must go digital. I’ve been reading how instant messaging is the future. I think the same post was written back in 2008 saying that Twitter was the future, and that contact centres and publishing would disappear. I’ve been reading that Artificial Intelligence is the future. I’ve been reading that cognitive is the future. I’ve been reading that Facebook, Twitter, and Google will become the customer service platforms of the future. But what I’ve come to realise through this reading is how much of a company’s customer service strategy and thinking is determined and influenced, not necessarily by doing what is right for the customer, but by the prevailing technology and associated operational requirements of the day. Getting consumed by what technology exists, although interesting, misses the point. To focus on Twitter, Facebook, WhatsApp, Snapchat forces the discussion to be about that specific technology. And whenever another new technology disrupts, another specific discussion needs to take place. But if organisations could rise above discussing the name, and simply talk about the type or characteristics of that disruptive media the discussion is immediately taken to a different place. The name becomes less important. But regardless of the cultural, technological, governance, regulatory or organisational challenges posed by Twitter, Facebook, going digital, WhatsApp, getting it right for your customers should be the number one priority. Getting it right, or perhaps making it ‘more relevant’, for your customers, should form the basis of your strategy, not what technology you need to do so. And the problem with focusing your efforts on the technology, is that what you’re just trying to do is to fit Twitter, Facebook and Instant Messaging into a model that was relevant and meaningful to a time that is rapidly disappearing. You’re trying to fit the very technology into the very model that it is trying its best to disrupt. Please tell me that you realise this! I was reading a blog post from Sentiment the other day – Sentiment predicts closer integration between marketing and customer service, web chat and smart data will top the social customer care agenda in 2016. It struck me as I read these three predictions, that they were less predictions and more a statement of the inevitable. Perhaps not in 2016, but at some point. We’ve been talking about customer service and marketing coming together since 2008! I’m trying to think of how many forward-thinking organisations are doing this? I’m also trying to think what the benefits are of being a forward-thinking organisation? And if the benefits are so great, why aren’t there more of them? Perhaps being forward-thinking is no more or less than just doing the basics well? By the way, what does a forward-thinking organisation look like? Customer service and marketing will come together at some point. Consultants have you got your spiel ready about the seven steps to transitioning to a forward thinking customer experience enterprise where marketing and customer service are integrated holistically and, don’t forget, end-to-end, as well? Messaging apps will dominate communication … that is until the next wave of <insert name of disruptive communication media here> emerges. Companies will still take an age to actually integrate them and by the time they do, customers will be on to the next one. Data will underpin and drive all customer experiences across all channels, regardless of whether that data source is social, mobile, in store, email, billboards, TV. I wonder if this was the case in the 1960s? Why am I being critical? Flippant perhaps? Please, can we get over the question of ROI? Please, can we get over the myth of social customer care and call deflection? Please can we just get over it! There are so many posts out there writing about the technology, the changes that it will bring, the benefits that will result. But the technology is a means to an end. It’s people who make the biggest changes. The technology as we know, simply enables. Do we always have to wait until the technology gets boring? We already have enough systems that can deliver the fastest resolutions. It’s the thinking that puts the barriers in the way that causes the problems. Break down the barriers, break down the thinking, look internally, look to yourself, before looking to buy new systems or create supposedly ‘faster’ processes. We have become used to looking to technology to give us the answer, to be the answer. But looking to technology has made us lazy. We couldn’t rethink our processes to cut down the SLA for FCR, so our customers decided to create their own DIY workaround, it’s called Twitter. A three minute SLA is an artifice, it signifies nothing. The focus is all wrong. We should be writing about ‘forward thinking’ people, not forward thinking organisations. It’s the people that will change, not the organisations. Perhaps what social has done/is doing is being the catalyst that reminds us what critical thinking is. Organisations are simply a manifestation of the people that inhabit their ecosystem. I tut-tut at myself at the emptiness of that sentence. It’s all a cliche. It’s just words hung together. I’m just as guilty as anyone else. The habit is difficult to break. Organisations are nothing without people. trust, authenticity, collaboration, sharing, transparency … add your own words, the list of empty words is endless! And yet, these are the very words that lie at the heart of social? The words that give social its meaning, its essence, are the very words that undermine it. Perhaps we’re all competing with each other, competing for your attention? Quick add more empty words! But what do these words mean to you, in your context, at this moment in time? Do you even know? Do you care? We look to KLM as the most socially innovative. But for KLM social is a way of thinking, a way of doing. Perhaps it started off as the technology – Twitter, Facebook, YouTube, but someone or some people within KLM recognised and understood that by doing, the biggest change to be made was not the face value of responding on Twitter within three minutes, but recognising the opportunity for what that response could be, could represent, in that moment in time. There is a subtle, but critical dependence in social between doing and understanding, doing and recognising, doing and realising. You have to do it, in order to realise the value of it. I can’t teach you the value of social to you. I can’t teach you best practice for you, it’s your journey. I can show you what others have done, but that is their journey. Ultimately, this is your journey. And it is a journey. Even KLM, who have intertwined customer service, marketing and PR, are still on their journey, they are still understanding how to build, create and think from social. Still trying to cast off ‘we’ve always done it this way’, in favour of something that reflects the nuances of today. The blueprint forever being shaped and crafted, by you. Kate Leggett (Forrester) talks about a ‘mobile-first’ mentality in her customer service trends for 2015, and perhaps KLM is making the mental shift towards a ‘social first’ mentality. What social, mobile, digital and even traditional channels represent is far greater than the sum of the individual technologies that are grouped together under these terms. We must all be critical, because in doing so, we stop ourselves falling into the trap of becoming a cliche or a hackneyed phrase. I read with interest Conversocial’s latest post about integrating Facebook Messenger into their ever burgeoning platform – Conversocial Powers Social Customer Care on Facebook Messenger. It’s interesting to see how the different vendors are approaching the social customer care space and the direction they are taking. Brand Embassy have to some degree turned their back on a pure social play and gone multichannel, HelpSocial are looking to APIs, Conversocial looking inwards to platform development. There will be more mutations, permutations and transformations to come. There is no doubt that Conversocial is one of the pioneers in this space. Joshua March understood the space, understood the emerging trend, was a part of it, saw an opportunity and built a business on it. I have known Joshua from those early days and have every respect for him and what he has done with Conversocial (including his hair!). The company has gone from strength to strength, expanded into new markets, leveraged the latest developments amongst mainstream social media, experimented and innovated, but ultimately always reverted back to continuing the development of its core platform. The experiments and the innovations are the journey, inextricably and intimately tied into the platform that you see evolving week on week, month on month, year on year; perpetual beta. No end in sight, and with no sense that there is an end in mind: the platform continues to grow in and of itself. But that’s good enough these days. But is the commercial longevity of social customer care itself viable? I’m not so sure. Don’t get me wrong. I’m still a believer in social customer care. I still think it was the catalyst that began to hold up a mirror to traditional customer service. It did not set out to be a catalyst. It did not set out to shift or destabilise the current delivery model. It did not set out to marginalise the centre ground. It did not seek to, perhaps resorting to cheap and easy cliches – uberize – customer service. The shift, the marginalisation, the destabilisation were all by-products. The customer wasn’t even aware they were doing it with every Tweet, every picture posted on Instagram, every comment on Facebook, every view of Dave Carroll’s ‘United Breaks Guitars’. I’m concerned and here’s why. The cost for a large organisation to use platforms like Conversocial, HelpSocial, SparkCentral allows it to be treated as a plaything, as an experiment. I do not mean that in a demeaning way either. Experimentation and innovation are hugely valuable activities. But what it means is that a company can experiment at a low cost before it has to truly commit to either social customer care or a specific platform on which to provide its version of social customer care. There has been a persistent drive towards multichannel over the past few years. Companies, like Conversocial, will always be an add-on, an extra. Yes, you can integrate it into other systems, but the cost of that integration may be more than the cost of Conversocial licences themselves. Ultimately, a company may opt for the social customer care solution provided by Salesforce, Genesys, SAP or some of the other big players in the market. They may opt for them, knowing (or not knowing) the solution may not be as agile as a Conversocial. But does that matter in the overall scheme of things, as long as for the customer, they are getting their Tweet acknowledged in less than five minutes? I fear that the deal size that a Conversocial will increasingly need to remain commercially buoyant will never truly exist, simply because companies like Conversocial provide a niche product. Social customer care is not, and will not, replace all other channels. There was a time in the early days when people thought it would, when we would see the end of contact centres. Social customer care is coming back into the fold. Where once it was a parallel stream it is now being subsumed alongside chat, telephony, emails etc. What happens when messaging becomes the dominant play? The recent enhancements by Twitter to lift the limit on DMs, as well as make more of a play in the social customer care space, along with Conversocial’s integration of Facebook Messenger, signals in my mind, not the obvious improvement of service, but rather the inevitable industrialisation of social customer care. Commentators have long talked about the scalability and automation of social customer care: how can you empathetically (forget efficiency) respond or reach out to tens, hundreds or thousands? There is a disconnect. There will always be a compromise, but my fear is that efficiency and productivity will always win out over empathy and experience, as long as our thinking remains the same. The beauty of social customer care is that it enables the customer to react and respond on their terms, unencumbered, uninhibited. I can complain or talk about a company in an open space where the rules of engagement are set by the different tribes or conversations that I choose to be a member of or participate in. Perceived value to me (or to the tribe) becomes the currency. It is not a currency set by large enterprises with an agenda in mind. What these enhancements signal, in my mind, is no longer the ‘uberization’ of customer service, but rather the ‘traditionalisation’ of it. The novelty value of the social plaything is wearing off (as it always would), and without realising it all these enhancements are simply speeding up the process. The very characteristics that provoked and cajoled traditional customer service to be closer and more relevant to the customer, are being neutralised. The naughty child in the corner is being disciplined, re-educated, and will eventually behave and look like everyone else (albeit with ill-fitting clothes). Instead of being forced to find new metrics of engagement focusing on empathy, experience, context, the old masters of AHT and FCR will reign supreme. We may well see companies like Conversocial, HelpSocial, SparkCentral fall by the wayside or acquired by other companies, that is part of this ongoing journey. And tomorrow, another stage in this journey will emerge. I’m seeing – Internet of Things, Internet of Customer, cognitive – appear more and more. The same level of excitement will arise. New players will catalyse new journeys. But we must do everything we can to fight this ‘traditionalisation’, because in the end the customer (you and me) will be listening to the same muzak on the Cognitive or Internet of Things IVR. Our satisfaction will still be secondary to the cost to serve. How can we take the best of social, the best of traditional customer service, the best of what’s to come and create a model that is more relevant, more resonant with how we think and behave today? Does it always have to be industrialised? I was reading a couple of posts recently about how Twitter is looking to expand its customer care positioning as ‘a better replacement for 1-800 numbers and online contact forms’. The planned enhancements of the Twitter platform come on the back of work it is doing with companies such as SproutSocial and Oracle, as well as leveraging Gnip. As part of this positioning perhaps, Twitter published a somewhat lengthy playbook – Customer Service on Twitter – in August 2014, to add to the already burgeoning plethora of definitive guides to social customer care. There will undoubtedly be further functionality added (and integrations to existing contact centre platforms made) over the coming weeks and months. I would imagine that this larger play around customer service has been made to help create a more diversified portfolio of business tools that potentially make Twitter more ‘sticky’ and relevant. As I read through these posts, however, I can’t help thinking that this is a lost opportunity (perhaps the opportunity never existed in the first place?). Don’t get me wrong. I acknowledge the key role that Twitter has played as a catalyst to democratise and decentralise customer service; I was part of that early journey. Twitter never set out with the intention to destabilise and shift. Twitter never set out to shake customer service up and highlight that the model we have become accustomed to is no longer fit for purpose. To question the assumptions that we take for granted without realising it. To question and challenge the assumptions that we no longer even understand or know why they are there or what purpose they serve. These were the unintended consequences of serendipity. Twitter has provided us with a glimpse of something different. Not necessarily better, just more relevant to today’s needs. Something built using today’s technology, reflecting today’s thinking, today’s society. But I feel that what these announcements highlight is that Twitter is inevitably succumbing to the weight of that traditional model. Instead of proactively and intentionally continuing to innovate and shake up the model, instead of forging a more relevant one, creating an updated set of assumptions, it is without realising it, without meaning to… inadvertently perhaps … nullifying, turning its back on its own efforts and succumbing to the model of service delivery that evolved out of the assembly line. We have not seen the last of Erlang’s Formula! Where once I thought we might be able to find a way ahead that could deliver ‘scalable intimacy’, I’m not so sure. Where once I thought we might understand what the emerging model of service delivery might look like for the next generation of consumers, I’m not so sure. A model built on the assumption that Twitter is a ‘better replacement for 1-800 numbers and online contact forms’ seems myopic. Customer service via Twitter should not be about replacement because that still ties it to a creaking model that is increasingly less relevant. Not everyone will agree with my view. Perhaps, no one. Not everyone will understand it. I’m intentionally critical, intentionally questioning, intentionally provocative and cajoling, not for the sake of it, but because I genuinely live in the belief, that by doing so, we have the opportunity to do things differently. We mustn’t blindly accept. We have, all of us, glimpsed something that is more relevant to our needs. We mustn’t assume beauty just because a different shade of lipstick has been daubed on the proverbial pig. The reality perhaps is that Twitter, as an agent of innovation, within the customer service space was never going to be possible, once it began to outgrow its start-up jeans and t-shirt in favour of the grey suit and tie of shareholder value. My recommendation: Start turning your attention to messaging apps and online video. Think about a type of customer service that is pre-emptive, proactive, predictive and cognitive. As Kate Leggett writes in her report on customer service trends of 2015 adopt a ‘mobile-first mentality’. The key word being ‘mentality’. Twitter was the catalyst. It has served its purpose. Perhaps that is enough. But the future lies somewhere else now. #Socialcustcare: Do millennials really matter? Millennials prefer social media for customer service, particularly Facebook, expect a response within ten minutes, and are unforgiving when it comes to poor service. But we kind of guessed that! I also received an email yesterday which among other things mentioned a report published by IBM in 2013: “The Customer-activated Enterprise”. There’s a nice infographic that goes with it as well. Hang on a minute… social is the biggest barrier? Yes! Apparently CxOs simply don’t know how to strike the right balance between the social, digital and physical worlds. Remember the report was published in 2013 though. So much has changed since then, right!? Technology has gone from being something that is separate and distinct from me to becoming an integral part of who I am and how I interact with those around me. My mobile phone or tablet and the apps that I download onto them say as much about me as the clothes I wear, the shoes I buy and the food I eat. My mobile phone or tablet are inextricably interwoven into my life. When I think about some of the changes that have taken place over the last 70 years or so, I suddenly realize that where we are today seems a world apart. The business conditions that gave rise to Salesforce, Facebook or Snapchat were not the same that gave rise to Best Buy, Singapore Airlines or BT. We now live in a world that is dominated by images, data, immediacy, transparency, information, and mobility. Existing boundaries are being challenged and new ones set and reset with increasing frequency. We live in a world in which the ability to discern, to share, to know ‘how to’ is of paramount importance; hat tip to Howard Rheingold’s digital literacies. A world in which the pursuit of serendipity, not for its own sake, but for what can result from it is of paramount importance. A type of customer service that is not limited by time or geography, a type of customer service that takes place around us and automatically adapts to our ever-changing context, a type of customer service that has passed from being proactive to preemptive, responsive and predictive… a type of customer service that is in the moment and of the moment. Find me an SLA for that! Then I go back to the two articles I was reading, and it dawns on me that the world that many CxOs inhabit (Baby Boomer & Gen X), is not the world that many of their customers live in; I suddenly comprehend why social media could be a barrier! But I’m also struck by the thought that social is simply a proxy for change and an inability to change, to adapt. Is it laziness? Is it a lack of comprehension? Is it arrogance? Is it a vainglorious last-gasp effort to cling to the familiar? Regardless of whether your customers prefer social media for customer service, particularly Facebook, expect a response within ten minutes, and are unforgiving when it comes to poor service — there is a disconnect between the CxO narrative and the expectations of the customer. There is a disconnect between the thinking of a CxO, the way organizations are structured, and the way that their customers buy, communicate, engage, complain, interact, and experience. I doubt whether companies are even part of a customer’s narrative (as long as they receive a response within ten minutes!). Whether you’re a Baby Boomer, Gen X, Y or Z is largely a moot point. Labels are, well, just labels. What holds true is that as the Generations unfold so too does the way they think, the technology at their fingertips, and the way they communicate. The generation that comes next will likely react against the generation that came before it. It’s called human nature, so let’s not allow ourselves to be taken in by fancy labels. If as each generation unfolds, it is allowed to experience and interact with the serendipity that naturally results from the increasing democratization and ubiquity of technology, which brings with it a greater sense of freedom and creativity, then what will determine success or failure is our individual and collective ability to not just adapt, but adapt at speed. KLM is at the forefront of this adaption, where Best Buy once was, and in time companies from the Middle East and Asia will be, because it recognizes the need to adapt at speed; it accepts that mistakes will happen along the way. It accepts that it needs to experiment and try. It accepts that it needs to be bold and courageous. giffgaff came about in 2009 because of a unique set of circumstances and variables that came into play. Its founders understood the subtleties and nuances of change, understood the need to be bold and courageous. giffgaff did not succeed because its ROI or KPIs stacked up. giffgaff hadn’t even written its own narrative at that point… the journey became the narrative. This isn’t about one way being better than another. This isn’t about one way replacing another. It’s not a simple binary equation of out with the old, in with the new. How many subscribed to the view back in 2008 that Twitter and Facebook would replace contact centers? Be honest now! How many uttered the phrases: “Customer service is the new marketing” or “Customer service is the new black”? This isn’t about one way of thinking being better. This is about adapting and about how quickly you allow yourself to adapt. This is about realizing that these different tribes of thinking can co-exist. Yes, there might be friction and tension when tribes rub against each other, but ever was it thus. And if social is the catalyst that reduces the friction and eases the tension, then perhaps today might just be the right day for you to join Twitter and in doing so, begin to realize that it’s not about the technology, it’s not about social. But social teaches us about learning to be open, learning to share, learning to trust, learning to collaborate… learning the literacies that we will all need to engage, to communicate, to think, to transform, to adapt at speed in the years to come. Because at the end of the day or on the weekend, when you’re not at work, when you’re a customer, you’re already adapting at speed without even thinking about it! #SocialCustCare: Let’s start talking about camels! I was reading Social Care in the World of ‘Now’ a moment ago. I don’t want to be snarky, and I have never met the authors before, but can’t we do better than this? That is a broader question that isn’t aimed at the authors of this piece either. Please show me a company that isn’t aspiring to wow their customers, responding to their needs, having a clear strategy. Whether they actually do it or not is a separate issue. I get this, although I’m not sure that most customers want meaningful and valuable connections with large brands, but don’t choke social and the emerging service model with the very model that once served a purpose, but is no longer, on its own, fit for purpose. I was asked a simple question today which I’ve not been asked before, and for which I didn’t have an answer. The question reflects the journey that social customer care is taking. I’m loathe to use the word maturity, because this is not about maturity. This isn’t about social customer care specifically either. It’s broader than that. The following post originally appeared on Social Media Today. I’ve been coming to the Middle East and Malaysia since 2011 running workshops on social customer care. Those first couple of years were hard work: literally me at the front talking for three days, trying to convince the attendees that social customer care was the future. By the time I got to the first coffee break I was already feeling exhausted. But how things have changed since then. Organisations now have at least two or three years of experience to draw on. Conversations about tone of voice, resourcing models, benchmarking quality, outsourcing, operational intricacies and complexities are no longer a struggle. I’m actually having…conversations. I’m learning as well. With each visit I see more and understand more about the subtleties and complexities inherent within the cultural differences that sets these parts of the world apart from what we are used to in the West. In the West we talk about empathy, about saying ‘sorry’. In the Middle East, whilst empathy has a place, it’s less about ‘sorry’ and more about ‘show me the cash’. From a social platform perspective, while the West continues to be dominated by Twitter and Facebook, in the Middle East, the fastest growing customer service channel is Instagram. The published photo simply serves as a starting point to a complaint or query; no more, no less surprising than LinkedIn as a social customer care channel. Companies like Ooredoo are also offering Snapchat and WhatsApp in response to their customers in Qatar. In the Middle East, I am seeing some of the most complex operational challenges faced by any company anywhere, particularly those operating as franchises – Alshaya (Kuwait) and Al Tayer (Dubai), or Majid Al Futtaim (Dubai Mall). These companies represent hundreds of brands. The challenges faced by many of these companies are no different to the ones we face in the West. The major one being the resistance by management towards the cultural or organisational changes necessary for this type of transformation to take place. While the concept of the social business is still to gain genuine traction, examples of enterprise social network adoption do exist within both the public and private sectors. I’m also always amazed by just how many companies in the Middle East and Malaysia are able to get by on simply posting and responding to customers using Twitter, Facebook or Instagram themselves. Although, one could argue this is reflective of where they are in their social journey. Whilst some have made the jump to HootSuite (occasionally Tweetdeck), the transition by the majority to using a paid social customer care platform such as Conversocial, Lithium Social Web, Brand Embassy, HelpSocial, SparkCentral, AegisLisa, Vocanic is largely yet to take place. Part of the reason these companies have yet to make the transition to a paid platform, however, is that the majority of vendors in this space have focused on and created products for western markets. Whilst this does give vendors, such as CrowdAnalyzer first mover advantage in the Arabic-speaking space, the time must now come surely for that focus to shift eastwards? There is no doubt in my mind where once we looked to BestBuy and BT, and now KLM, we will at some point in the next few years be closely following the advances made by companies such as Maxis (Malaysia), Astro (Malaysia), Saudi Telecom Company (Saudi Arabia), Air Asia (Malaysia) and Ooredoo (Oman) amongst many others. As in the West, telco and airlines still pushing the boundaries! For some time now I’ve been thinking that social customer care is ready for a change. I’ve felt that change was overdue, but I couldn’t see where it was going to come from. I wasn’t able to articulate it, even though I’ve talked about impermanence, responsive platforms and decentralised service models. I wasn’t able to articulate it even though I’ve read about cognitive computing, quantified self and Amazon’s Mayday. If I am brutally honest, whilst on the one hand I do think customer service has been disrupted by social as a catalyst of change, I also feel that social customer care, as it is practised today, is little more than traditional customer service with social tendencies. In this context, I define social as a collective term that encapsulates ideas of openness, transparency, real-time (or at least a greater sense of immediacy), decentralisation (perhaps even devolved, albeit not in a conscious way by organisations), collaborative, empathetic… you get the idea. In many ways that observation – traditional customer service with social tendencies – isn’t meant as a criticism, but merely reflective of a point or moment in time in a journey that has already begun. In my mind, responding to a complaint via Twitter or leveraging LinkedIn as a customer service platform isn’t a revolution as some might want us to believe. Responding to a customer on the phone or via email is not that different to resolving a complaint that has been Tweeted. A platform is a platform is a platform regardless of its name. Customer service at its very base level is about answering someone’s question. What is the big step forwards perhaps is the mental shift that has needed to take place. In this respect, what social customer care represents – a way of working, a way of thinking, a philosophy (perhaps that’s too grandiose a word) – that is the big step forwards. That is the disruption. That is the leap that needs to be made. A necessary tension or friction exists between the technology that serves that form of communication and the requisite thinking that needs to go hand in hand with it. To date, vendors have focused on the creation of a single, self-contained proprietary platform that enables them to monitor, identify and respond to specific keywords. That response is largely reactive, highly manual, and essentially unscalable. The platform has the ability to either ‘plug’ in to the world around it or be ‘plugged’ in to via an API: a doorway into a world of possibilities. But the notion of the proprietary platform remains undiminished, unchallenged, unquestioned; absolute and supreme. And yet, in my mind, in this age of sharing and collaboration, it is the very desire itself to create a proprietary platform that needs to be challenged and questioned. The proprietary platform itself needs to be set free to truly realise the possibilities that exist. A platform needs to be created in which the maker recognises and designs for, in the words of Don Tapscott and Clay Shirky, not only a ‘shared canvas where every splash of paint contributed by one user provides a richer tapestry for the next user to modify or build on’, but also one that allows for the fact that ‘we are increasingly becoming one another’s infrastructure’. For the past few months I have been talking with Matt Wilbanks at HelpSocial, trying to understand what makes their platform different, unique, appealing. And if I’m honest, I’ve struggled at times to understand what makes HelpSocial unique, apart from the fact that it was a platform originally borne out of an internal need to deal with customer support issues, and which then was turned into a customer-facing proposition. The social customer care vendor landscape is at best small, at worst increasingly crowded with diluted offerings. Those organisations that have been practising social customer care for the past three to five years are facing similar issues around industrialising social customer care: How do you automate and scale? The need for – scalable intimacy – not my phrase unfortunately, sums it up. The situation is further exacerbated by the fact that within organisations each department employs different tools, with different reports, different dashboards, different owners. Each tool a self contained unit lying within its own ecosystem and support network. Each department with its own lens on to the same customer. Each pursues the ideal of a single customer view. Each pursues that ideal in their own image, with their own ends and KPIs. The same customer owned multiple times, but nothing connected. And yet each department wanting to know more and more about their customers. Somehow social promises this. And yet social in the very act of promising, amplifies and draws attention to these differences: the different owners, the different systems, the different KPIs. Once again a tension exists. But it is here in this tension that the answer might be found. “The HelpSocial API allows a business to build social into any application across the organisation for data sharing, reporting and social response workflow. It means they can scale out social across the organisation at their own pace and in a manner that is in sync with their business processes, while continuing to use apps that don’t have to be designed to work together. And, since all these apps are now tied together, actions from one department can be seen or used anywhere else across the organisation in real-time. While HelpSocial’s new offering does not see the end of the proprietary platform as we know it, it certainly goes some way towards a different type of approach requiring a different type of thinking. A thinking, a way of working and doing, a philosophy perhaps that is genuinely more social in nature; not that social is the end game. In this paradigm, the organisation has the potential to become more responsive, the customer experience more seamless, more consistent, more immediate, perhaps even more scalable. The idea of ‘scalable intimacy’ may not be so far away. As the distinction between inside and outside, public and private becomes less important, alongside the inevitable decentralisation (deconstruction perhaps) of the primary roles of the organisation, new forms of expression, new forms of creation/co-creation, new forms of collaboration, new forms of sharing will take hold. Clay Shirky writes: “Communication tools don’t get socially interesting until they get technologically boring.” HelpSocial’s new API helps take us some way towards that state of boredom. Am I overstating things? Perhaps. But when Ginni Rometty talks about the social network being the new production line of the company, HelpSocial’s approach helps me to start seeing, articulating and understanding that reality. The following post is reproduced from the Econsultancy blog where I was interviewed about the importance of social customer care – Q&A: IBM’s Guy Stephens on the importance of social customer service. Using social media channels for customer service is a key way to remain relevant to not only your customer’s needs but also their expectations. If you’re a brand than you should be on social. If you’re on social then you should be exactly that… Social. Communicate openly with your customers no matter what their query and do so personally, quickly and offering resolution where possible. I’ve recently been writing a great deal on social customer service. Check out this investigation into the current state of UK social response for 20 top retailers. Can you tell us what you feel are the benefits of providing social customer service? Using the channels your customers use is a good starting point, although it isn’t enough. Is social educating, teaching, showing organisations how to provide a better version of customer service? Probably, but even if it’s not it is forcing organisations to somehow remain relevant to their customers. If social indicates what the future of customer service might look like, what channels might be used in the future and how customer service might/could be provided, then in my mind, there is a responsibility on organisations to understand what that future looks like. Not to do so, is to effectively say “we choose not to be relevant to our users”. 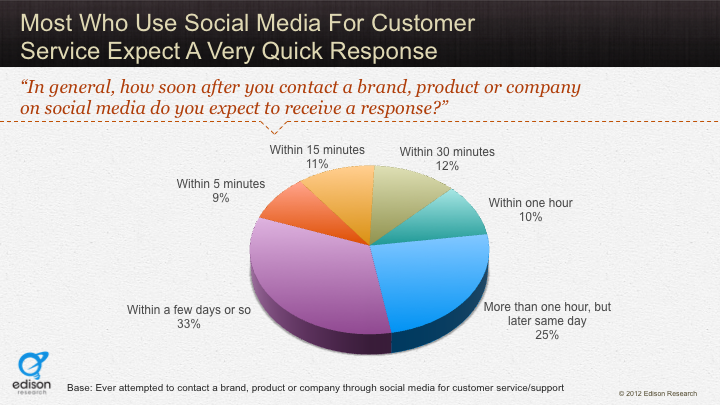 Do you think customer care should extend across all social channels? My sense is that the idea of customer service will change, and we are in that period of change. I believe we will move away from a type of service that is very siloed and bounded to the idea of a ‘channel’ and move towards something that is about a more pervasive and responsive type of service layer. Channel will become less of a dictating factor, and response will be driven more by context (urgency, priority, understanding of behaviour etc. all rolled together). The overall experience will inextricably be part of the resolution as well. Do you think teams need specific training on how to deliver customer care on social? Do you think the same team should handle all enquiries regardless of channel? I think teams need to remember how to be empathetic. To be driven by resolving the issue in the best way possible for the customer, and not by the operational necessities of it. Customer service is currently very process driven. Look at all the metrics, it is about the process and not the resolution or the experience of the resolution. I think who covers ‘customer service’ will change as will what actually constitutes customer service. We’ve seen examples like BestBuy’s Twelpforce, giffgaff’s community, people simply helping each other via YouTube, Twitter, Facebook etc. We may see the frontline provide a far deeper service layer experience for all. The idea of frontline triage spreading across the entirety of the organisation. Is there an optimum time for responding? Is there a certain tone of voice, or adherence to personalisation that a CS team should adopt? In my opinion a customer doesn’t care too much about response times as long as you keep them informed throughout. Putting that to one side, what social increasingly allows an organisation to do is understand the context in which something it happening to a customer. That enables an organisation to understand the urgency, complexity, priority of a specific issue someone is having. However, what you need to remember is that my idea of urgent changes depending on the context, this differs again to the organisation’s idea of urgent. If you look back over the various response surveys of the last four to five years, you can see that not much has really changed, apart from the fact that people expect a response on the social channels to be faster than those on traditional channels. It’s not as simple an equation as big team = faster response time. This also differs between social channels – people expect a faster response on Twitter than Facebook. There is a cultural aspect to this that we don’t often take into account. For example, in the Middle East (and even in different countries within the ME it differs), people are increasingly using Instagram more than Facebook, Twitter in some instances to engage with organisations. Responding is also a two-step process: acknowledging the initial Tweet or Facebook message, and then resolving the issue. The resolution can take place in the normal way. However, my belief is that we will move from the ‘lipstick on the pig’ approach we currently have towards something whereby we recognise the native functionality of the social channels and provide service that takes that native functionality into account. At the moment it is pretty much traditional customer service but on Twitter, Facebook etc. Do you find that customers mind being moved to a different channel for more sensitive, complicated enquiries? That’s a reality of the current limitations of what we have. This is where the experience becomes very important ensuring that the move from one channel to another, one team to another etc. is handled seamlessly, creating what many refer to as a ‘frictionless experience’. Organisations need to look at the underlying complexity of their existing processes. As for sensitivity, I think the goal posts are slowly shifting on this, as our thinking changes and we recognise that the underlying system or model has by necessity to change. I’m not saying we should all suddenly publish our bank account details; that stays private. But I think we have hidden behind things like data privacy for so long that we no longer really know where the lines of sensitivity lie. I think it’s time for a grown-up conversation again looking at data privacy/sensitivity etc. I think we are seeing a very slow shift from a time years ago when consumers were happy to forego privacy in return for the ability to buy items online. Convenience ruled, and apathy set in. We’re now starting to understand the implications of that, and perhaps trying to reclaim our ‘lost privacy’ (all sounds very romantic and Proustean!). Bottom line: companies need to re-evaluate their underlying processes. Once again it’s lipstick on a pig – social layer stuck on top of existing processes, instead of trying to understand the inherent nature of social channels and then designing a process from the bottom up. What is the ROI of providing social customer service? The ROI is your customers coming back to you one by one. Do you have any best practice tips for other companies wishing to improve their social CS? Design for social. Think about it from your customer’s perspective. Look at things like Snapchat and think about their underlying characteristics, and then design your service based on that. For example, an idea I’ve been toying with for a while is with regards to Snapchat. If Snapchat is all about impermanence, can we apply that to the idea of the knowledge base? In my mind, once we set the knowledge base free we set customer service free. I’m not advocating that all knowledge disappears after 10 seconds. But the idea of impermanence genuinely forces you to make decisions, to prioritise, whereas permanence requires you to do nothing. I was reading through another one of those surveys the other day where a company Tweets a number of different organisations the same question and then sees how quickly they respond (if at all). 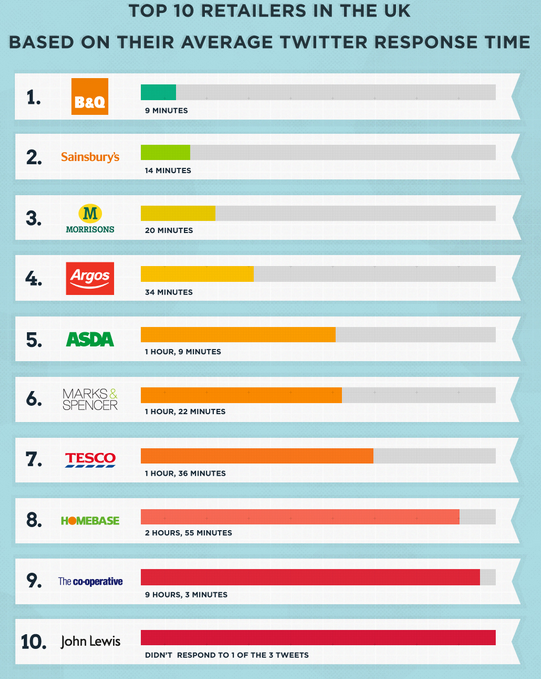 The survey this time was by Veeqo – Top 10 UK Retailers Twitter Response Times. I’ve copied the relevant part of the infographic below. The fastest responder was B&Q at 9 minutes and the slowest (discounting John Lewis, because they didn’t answer one question) was The Co-operative at 9 hours, 3 minutes. Well done B&Q, and room for improvement The Co-operative. I’ve always been somewhat mystified by these surveys and struggled to understand where their value truly lies, beyond a momentary escape from what I was doing. So what I thought I would do, is see if I could understand what I could learn from looking back over the last few years of these types of ‘mystery Tweeter’ surveys. Would the response rate improve year on year? Would different sectors perform better than others? Would response rates on Twitter be faster than those on Facebook? So here’s what I found looking at the slowest and fastest overall response times by companies on Twitter and Facebook. Times are in minutes. So, taking these things into account, what do the response times tell us? Well, in my mind, not a lot. Results for 2011 could be more down to the fact that there were either fewer companies on Twitter than there are today or else fewer response surveys done. My guess is that it was a combination of both! If we look at this from the perspective of the customer, then a survey from 2012 – The Social Habit – trying to understand customer expectations in terms of response times shows that 42% of customers expect a response time within 60 minutes of complaining, 25% the same day, and 33% within a few days. What this tells me is that the definition of ‘speed’ is very broad, and if anything, is perhaps highly contextual. My need for speed depends on the urgency of a given situation I find myself in, and not the pursuit of speed for speed’s sake. For companies searching for the magic formula that will tell them how best to streamline operations, how many agents they need for frontline triage, what the ROI of social customer care is, my simple answer is this: spend your time trying to respond to your customers with empathy and trustworthiness. For these things will bring you your speed of response when it is needed, and ROI without even trying. Unfortunately, knowing how to measure them can prove elusive. Images courtesy of Veeqo and The Social Habit. If we take the idea of the Maker Movement (I love this terminology by the way) and apply it to customer service, rather than the supply chain, what implications might it have? How might the idea of DIY and DIWO be applied to people trying to resolve an issue that they are experiencing? This approach does not necessarily exclude the organisations which provided the products and services from participating as well. Indeed, organisations may well provide key parts of the overall solution and experience, but not necessarily in a way that they had envisaged, or as the central pivot that they once were by default. The underlying themes are the same – digital, disruption, disintermediation (haven’t used that word for awhile), transformation – but the use of the term ‘Maker Movement’ reminds us, well me at any rate, of the Shakers and their simple and austere furniture. Beautiful furniture, simple lines, created (or should I say ‘crafted’) by hand. The value lies not just in the finished product, but is inextricably interwoven into the process of creating the item itself. So too with DIY or DIWO. The value does not reside just in the resolution itself. A by-product of social customer care has been the emergence of the decentralised service ecosystem in which customers are increasingly becoming attuned to Google, YouTube, communities and Twitter to find their answers. A type of customer service in which we will begin to create the resolutions ourselves. The resolutions I need when I need them. The resolutions that recognise the context in which I need them. The resolutions which will then be shared freely with others. The more responsive customer service I refer to above is still only in its infancy. It is the customer service of Taylor and Ford, but with social tendencies. It still lies within the shadows of traditional customer service, it is compromised. It requires Skilled Workers, Craftsmen and Coders to share their expertise. We need to continue the democratisation of the process and the tools. Organisations will recognise that creating the platform on which service will take place will bring far greater value than trying to own the message or the experience. That is too limiting. 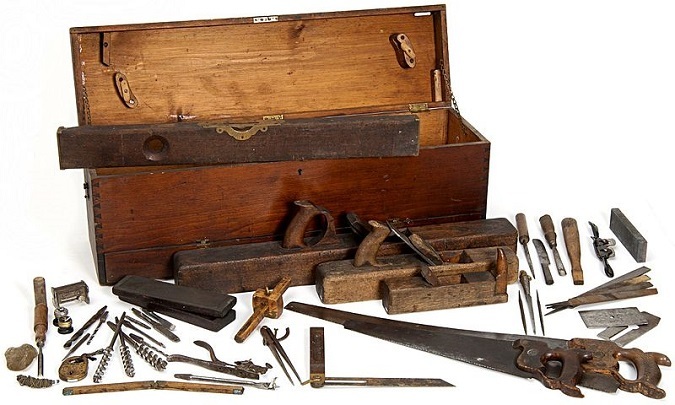 Google provides an agglomeration of tools, but not the platform. Amazon is going some way to creating the platform, and Mayday some way towards creating part of the toolbox. The full set of tools will only come when others are involved – the Skilled Workers, Craftsmen and Coders, as well as you and me. Organisations will begin to realise that for customer service to be truly free, they need to set the knowledge base as we know it truly free. The knowledge base in its current guise limits, impedes. It is cumbersome and unresponsive. But we have not found a way to set it free, yet. #Twelpforce went some way towards it by bringing people together, by trying to set knowledge free. But we will move towards this more responsive, freer and humane service ecosystem. That is inevitable. Perhaps the idea of ‘handcrafted’ DIY resolutions is not so far fetched after all.